Participation in summer recreation programs for youth has reached almost 90% of the K-12 youth in this NW Kansas Count, meaning youth have access to well-rounded summer recreation and educational opportunities that are safely monitored. 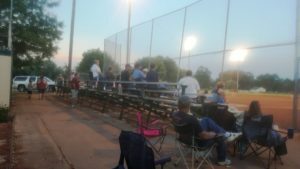 Improvements to the local ball field have encouraged participation and volunteerism. Volunteers provide the upkeep, and together with community partners, raise funds for both programs and improvements. A grant from the Hansen Foundation contributed to lights for the field.